So, every year we put your creative powers to the test and encourage you to put forward your greatest artworks, especially photos and enter them in our contest ! 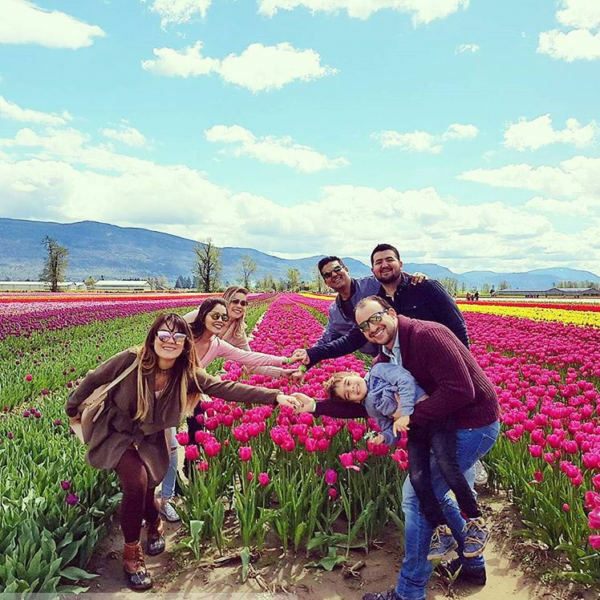 We love to see how our tulip fields inspire you to take that extraordinary pic! Plus, did we mention prizes? At the end of the festival, we’ll announce the winners in each of the categories and each of them will receive a prize! Show us how you’ve uniquely captured our festival. It could be a photo, album, video, highlight reel or IGTV video. 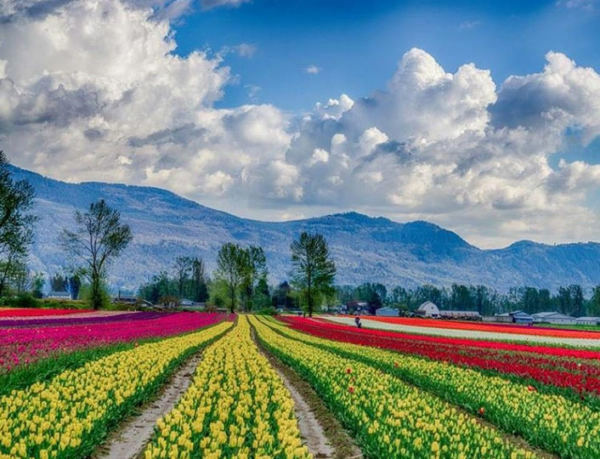 Best #ChilliwackTulipFest Instagram Video – Show us how you’ve uniquely captured our festival in a video! Best Instagram video wins… An overnight stay at Rowena’s Inn and 2 golf passes to Sandpiper Golf Course. Accom. not valid for holiday weekends. Best #ChilliwackTulipFest Instagram Photo – Show us your best shot! Best Instagram photo wins… A 2 night getaway to Manning Park Resort. Includes 2 night queen room accommodation, 1 day canoe rental. Total cost of approx $450. Accom. not valid for holiday weekends. 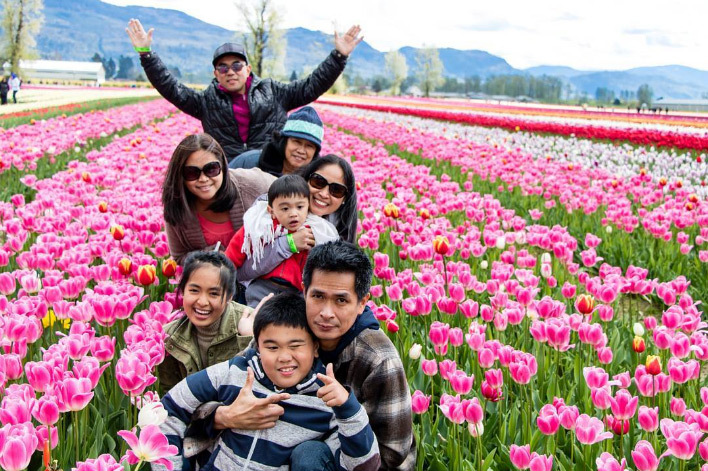 Best #ChilliwackTulipFest Family Moment – Time to get a family photo! Best family photo wins… One Day Trip Package for the family in Yale, BC, and a $50 gift card to Blue Moose Coffee House. Your day trip package includes a $50 gift card at the The Ward Tea House, and five tickets to the Yale Historic Site. Best #ChilliwackTulipFest Couple Shot – Share a romantic pic of just the two of you! Best Couple Photo wins… One Romance Package for TWO in Yale, BC, and a $50 gift card to Blue Moose Coffee House in Hope, BC. Your romance package includes overnight accommodation & breakfast at the recently restored Johnny Ward Guest House, and two ticket to the Yale Historic Site. Breakfast is included at the Ward Tea House! Best #ChilliwackTulipFest Action Shot –use your imagination with an action shot in front of the flowers. Best action shot wins… A Jetski package for two from Cultus Lake Marina. Your Jet Ski package includes two one hour Jetski rentals on Cultus Lake, fuel is not included. Best #ChilliwackTulipFest Landscape Photo – Looking for those beautiful landscape shots of our fields! 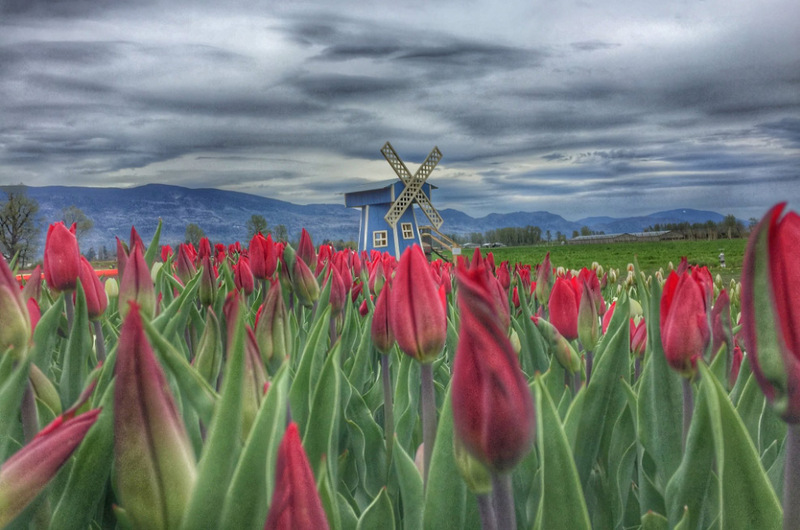 Best #ChilliwackTulipFest Close-up Photo – Post some beautiful close up shots of our flowers and festival! Best #ChilliwackTulipFest Pet Photo – Want to feature your furry friend in a cute or creative way? Best #ChilliwackTulipFest Children Moment – Capture those kiddies and showcase their cuteness! The contest is open to photographers of all ages, both professional and non-professional. All entries must be taken during the 2019 Tulips of the Valley Festival and photos must belong to an entrant and be their original work. Your entry could be anything in the above categories and we urge you to use your imagination. Be creative! Get excited! Show us something that maybe we’ve never seen before. Note: Employees or contractors of Tulips of the Valley, participating sponsors and those living in the same household, are not eligible for this contest. If submission requirements are not followed, the application and images may not be judged. Remember, by submitting your photo to this contest, you agree to the use of your photo for promotional purposes. Your photo may be used by the festival as a post, time-line photo, profile photo on Facebook or on Instagram, as well as in print advertising, calendars, or in other printed media. Don’t worry, we always give credit to the original photographer. To enter the contest off Instagram please email your entries to info [at] chilliwacktulipfest .com. For information on entering the contest without visiting our fields please contact us. We love to see what your budding artists can do! Can you capture the colour of our tulip fields, or bring our fest to life on paper, through pencils and crayons? 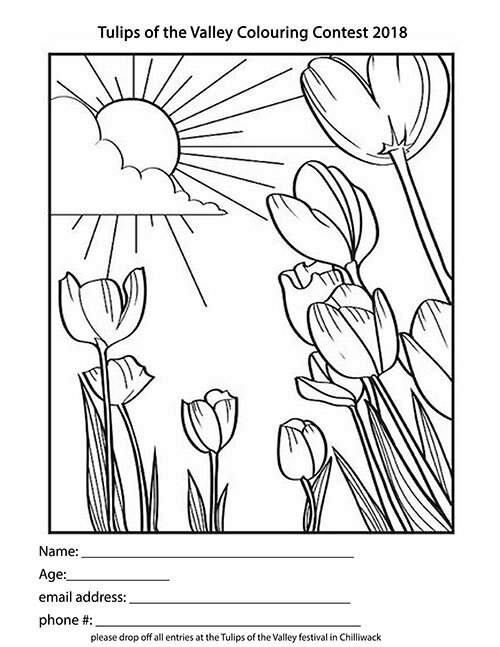 Print off our colouring pages to enter. They’re also available at the store during the Tulip Festival. Limit 1 entry per child/week. Each week, we will pick 3 pictures in each category. They will then be entered in our final competition. Good luck to everyone! We can’t wait to see what you send us this year!